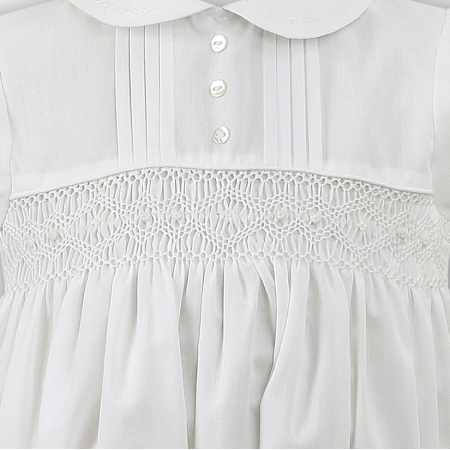 Look lovely and smart with this romper in ivory with smocked across wasit and pleated on the chest. Fully lined. 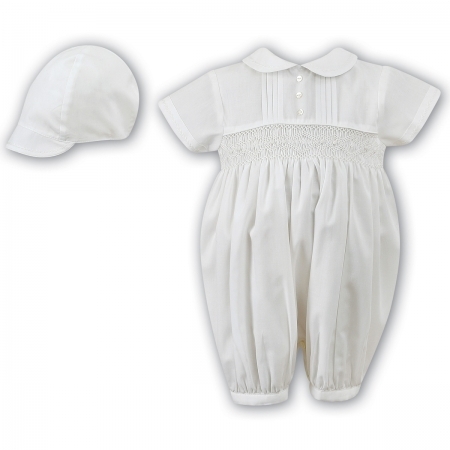 for use as a christening/baptism romper or for attending special occasions.